Goodbye Khao San Road, and hello Chiang Mai, Thailand, I am filing for divorce from Khao San Road on the grounds of irreconcilable differences. I just do not fit in there, I tend to avoid people, and it is time to move on, the Farang are too different from me. I use Thailand as my airport base; I return here, buy the next ticket and take off somewhere. I will continue to do this, however I am going to avoid Khao San Road. 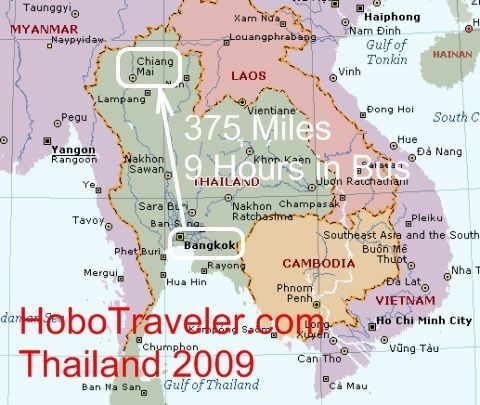 I took an 8:00 PM bus from MoeShipt to Chang Mai for about 500 Baht; they are nice buses, bigger than the tourist buses, there are only three seats across and they feed you food. I arrived at 5:00 AM in the morning, a little too early, but refreshing to change the channel. 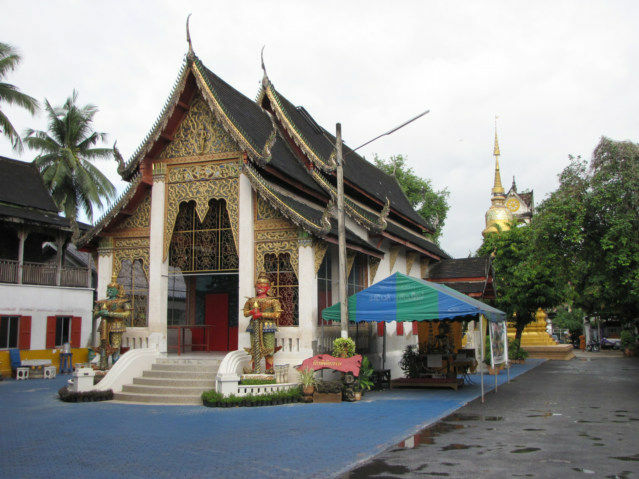 Chiang Mai is nice; it has a big square moat around the city and many Buddhist Temples, somewhat quaint in a modern way. There are many expatriates hanging around the city with their toll along girlfriend or wife. Many men get married to Thailand girls and settle down in Chiang Mai, Thailand. A Philippines girl told me Thai girls are good housekeepers, you a house and they keep it. Nonetheless, a different type of crazy here and another channel in the history of my life. Thailand has everything here, it is a cheap modern country, it really hit me this time, I can buy anything in this country, same as the USA at 1/10 the price.